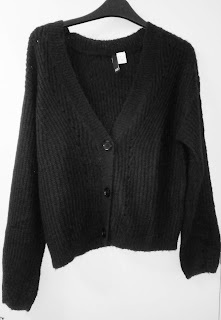 Now it really does feel like Autumn and when I saw this soft, warm, black cardigan in H&M, I thought it would be ideal to layer over other pieces in my wardrobe, including a silky slip dress. I love the soft acrylic rib knit, V-neck, easy shape and dropped shoulders. There's a hole-knit pattern down the front too, as shown in the detail below. It's time too to paint my nails a light, bright red. 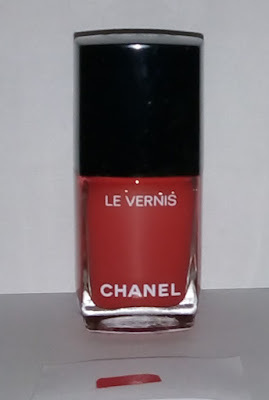 I had used up my favourite, CHANEL LE VERNIS in Rouge Red (546), so I treated myself to a new bottle. NEWS AHEAD to Spring! It might be Autumn but recently my favourite designers presented their Spring/Summer 2019 shows at Paris Fashion Week. Karl Lagerfeld's collection for CHANEL was inspired by the beach and he turned the Grand Palais in Paris into "La Plage de Chanel". Models walked barefoot on sand, holding their shoes, wearing straw hats and double visor caps. My favourites - wide shoulder jackets over cycling shorts. The Eiffel Tower was the background for Anthony Vaccarello's collection for SAINT LAURENT. Here the models walked through water, bordered by illuminated palm trees. There were elegant, evening style swimsuits that could have been worn to a party, sophisticated, Helmut Newton inspired little masculine-feminine tailored pieces and designs influenced by ideas in the Yves Saint Laurent archives. Slimane is back! Vaccarello, of course, took over in 2016 at SAINT LAURENT from the designer, Hedi Slimane. Now Slimane is at CELINE. His first collection for CELINE took the theme of "Paris La Nuit" and featured the smoking jacket, fascinators and tiny, mini dresses. 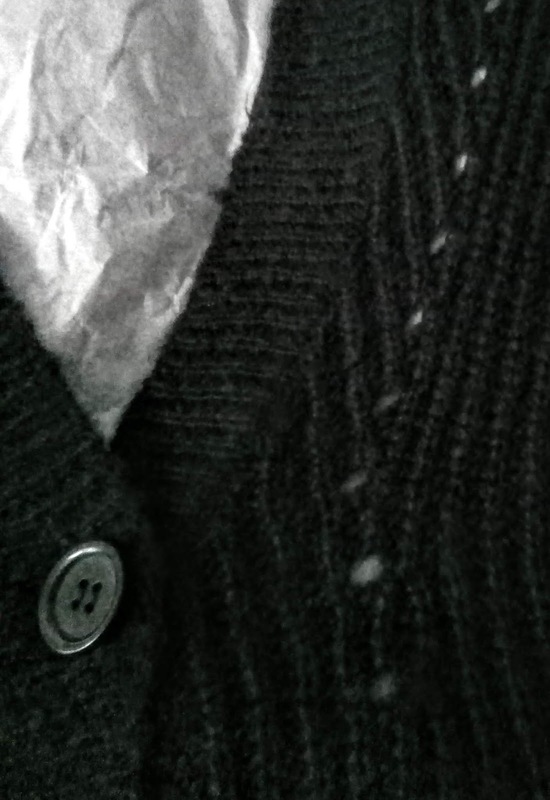 BUT FOR NOW IT'S BACK TO AUTUMN (AND WINTER AHEAD!) and it's getting colder out!